Discover two New Jersey destinations that played key roles in American history—and can do the same for your best summer ever. In Princeton and Trenton, Ivy League appeal meets urban adventure. With these tips from New Jersey Travel & Tourism, flex your penchant for state pride, national heritage, global arts, culture and dining, and heavenly outdoor fun. In the heart of Princeton, delight in Morven Museum & Garden, boasting National Historic Landmark status and gorgeous, five-acre grounds. 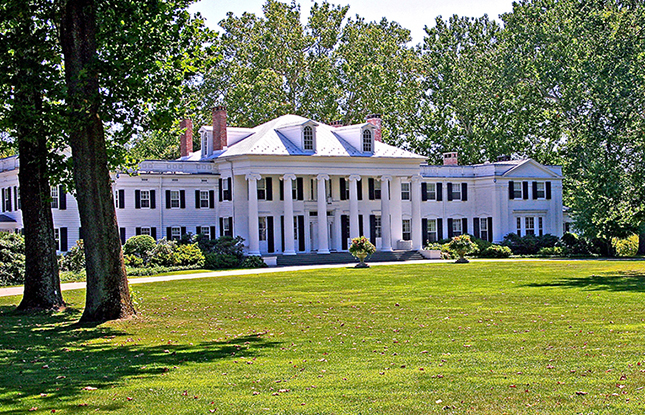 Visit Drumthwacket, the official residence of the New Jersey Governor (free tours most Wednesdays; advance registration required). The Princeton Festival (June 7-30) and Princeton Summer Theater both return with a variety of theatrical and musical productions. Play outside at Delaware-Raritan Canal State Park (paddle your way by, cruising first to Princeton Canoe and Kayak Rental) and nearby Grounds for Sculpture and Mercer County Park. In our capital city, tour our capitol building, the New Jersey State House (Monday-Saturday). Enjoy the Trenton City Museum's art and artifacts related to Trenton’s historical and cultural past and present, housed inside Ellarslie Mansion. Explore the New Jersey State Museum's science, history and art collections, and observe our state from a global perspective (Tuesday-Sunday; free admission). On the riverfront, catch a Trenton Thunder baseball game (maybe fireworks too), and cheer on the local minor-league, Double-A New York Yankees affiliate. Tucked into Trenton’s modern, municipal landscape, in the NJ Capitol Complex, the Old Barracks Museum endures­­. Find it close to where General George Washington made his famous, icy Delaware River crossing on Christmas and surprised the Hessians, turning the tide on the Revolutionary War. History buffs will be psyched to know that in 2018, Old Barracks vanquished all other “favorite summer spots” to win NJTV News’ Tourism Tournament—with 86% of votes! Built in 1758, during the French and Indian War, it first housed British soldiers and evolved in use over 260+ years. Today, this iconic place recreates the authentic experience of those who’ve lived inside. Everyone can take a fascinating tour (Monday-Saturday, 10 a.m.-5 p.m.), while children ages 9-12 can enlist for a super-fun, tech-free week at Colonial Summer Camp. Soak up the past some more by hitting other significant historic sites in Trenton. The 1719 William Trent House Museum, country estate of Trenton’s namesake, was prominent in several December 1776 battles (open Wednesday-Sunday, 12:30-4 p.m.). Nearby, see the Alexander Douglass House, where Washington made his headquarters and held his council of war before the Battle of the Assunpink Creek. Continue the trail to Princeton Battlefield State Park, where the fierce Battle of Princeton was fought the following day, and “The Ten Crucial Days” concluded with Washington’s first victory against the British regulars on the field (open daily, sunrise to sunset). Stroll through Princeton Cemetery for famous graves like those of Grover Cleveland and Aaron Burr. For further insight, the Historical Society of Princeton provides guided, themed walking tours. Or experience Princeton like a local! The Princeton Tour Company includes fun facts and folklore on their tours. Check out Princeton’s Toast of the Town Evening Walking Tour. Love multicultural cuisine? Trenton restaurants beckon, from Jamaican at The Hummingbird Restaurant, to Spanish and Portuguese at Málaga Restaurant, to Polish at Rozmaryn Restaurant and lots more—like summer-beloved American fare at 1911 SmokeHouse Bar-B-Que. In Princeton, indulge in an array of food (and shopping!) on Palmer Square and Nassau Street. Fine dining options include Agricoloa, Mistral and Mediterra. Cool off with sweet treats from The Bent Spoon, scooping up small-batch ice cream and sorbets with local and organic ingredients. Or toast a night out at the Dinky Bar & Kitchen, a onetime train station offering cocktails and small plates. Although part of a highly selective school, the Princeton University Art Museum enthusiastically invites everyone with the motto “always free and open to the public.” Share this world-class museum’s collection of over 100,000 works of art, spanning the globe and a timeline from antiquity to the present, as well as its year-round educational and social opportunities. Linger with a walk around the picturesque Princeton University campus, spotting landmarks like Nassau Hall, Cleveland Tower and the University Chapel. In New Jersey, every new day brings a brand-new destination…like Princeton or Trenton! Plan an outing or stay over to experience everything they have to offer. For more ideas and accommodations, go to visitnj.org, where you can also download a free NJ travel guide or sign up for e-news from New Jersey Travel and Tourism.